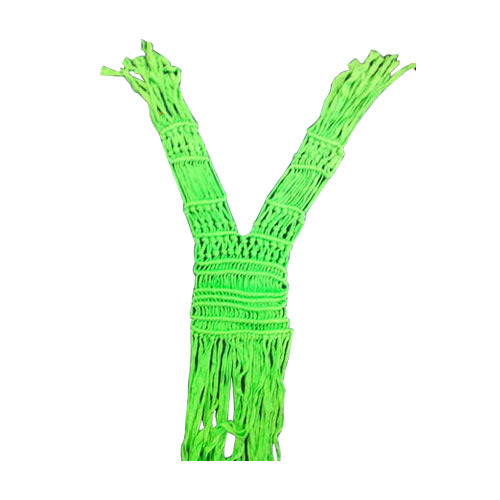 Owing to our adroit team of professionals, we are devotedly involved in offering a wide assortment of Macrame Neck. The offered neck is crafted using quality approved fabric to provide a greater level of comfort to the wearer. Apart from this, our offered range is checked on diverse parameters to deliver a flawless range at the clients' end. We offer this neck in various designs, sizes and colors for our clients to choose from. Incepted in the year 2012, at Ghaziabad (Uttar Pradesh, India), we, “Sai Trading”, are actively engaged in manufacturing and supplying a premium quality range of Crochet Bracelet, Crochet Necklace, Crochet Scarfs, Crochet Caps, Beadwork, Crochet Bags, etc. These products are designed using high quality basic material keeping in mind the current fashion trends of the market industry. The offered range of products is designed under the supervision of our creative team of designers making optimum utilization of the most-advanced technology. Our products are known for their unique design, attractive look, optimum finish, easy to wear, glossy apprentice, lightweight and long lasting shine. In addition to this, our products are available in various designs, patterns, colors, finish and sizes as per the requirements of our clients.